• We have been evaluating a plasma scalpel (the term has no relation to blood plasma) for four years that, with the generation of a small, hot gas jet (3,000 C), can cut tissue and simultaneously cauterize blood vessels of 3 mm in diameter. 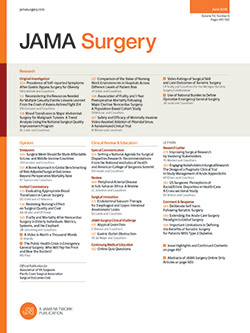 Twenty-nine plasma scalpel hepatectomies in dogs and comparative skin wound healing (with steel and electrosurgical scalpels) in 90 mice showed that bleeding was reduced, and the thermal insult in liver tissue was limited to 2 mm from the incision; both liver and mouse skin incisions healed without complication. The completion of epithelization of mouse skin wounds occurred at 2 to 6, 6 to 14, and 6 to 18 days, and the average scar width was 0.8, 1.4, and 2.1 mm for the steel, electrosurgical, and plasma scalpels, respectively. The plasma scalpel effectively cauterizes blood vessels as it cuts, leaving limited damaged tissue. We have recently begun human trials, and the device shows promise as a clinical tool.